The Post report said Florida law prohibits payments of more than $100 of the type made to Bob Margolis, who became mayor after an election in March, 2012, in which opponents of the expansion to include a new dressage facility, a hotel and shopping plaza took control of the council that governs the community of 55,000 residents. 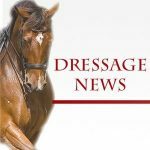 The reported apparent ethics violations come less than two weeks before the start of the Winter Equestrian Festival and its companion Global Dressage Festival, the world’s largest horse show that runs for more than 12 weeks and attracts riders from more than 30 countries to compete for more than $6 million in prize money. The report said the payments to the mayor were made by Neil Hirsch, owner of the Players Club bar and restaurant, and Victoria McCullough, owner of equestrian property near the show grounds. Both have declared their opposition to expansion and commercial development of the show grounds. The new council revoked approvals by a previous body of the development on what was the Palm Beach Polo Club, the original centerpiece of horse sports in Wellington. 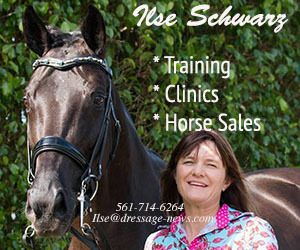 Although professing publicly to support dressage, the council majority withdrew approval of additional stabling, blocked a truck and service access road leaving only a single entrance and exit for all traffic–spectators as well as horse trucks and service vehicles–to a one-way street and barred use of the facility, including the covered arena, from May 1 to Oct. 31, South Florida’s hot and humid tropical summer. A family that was a major financial supporter of the opposition slate of candidates has also filed a lawsuit with the Circuit Court seeking to have the grounds restored to their previous state–meaning dismantle the state of art dressage arenas, 200 permanent stables, the covered arena and grass derby field built at a cost of several million dollars.